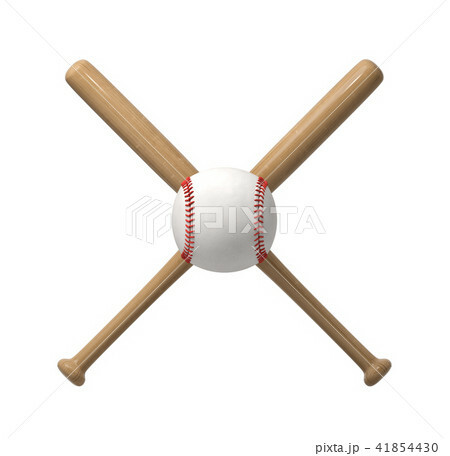 3d rendering of a huge white baseball with red stitches right in the middle of the cross made by two wooden bats. Hitting ball. Bat and club. Major and minor league.